a four hour live version of the soundpoem ‘Lait Noir du Mation, that was a contribution to Nuits et Noirs . Arnhem, The Netherlands on 24 september 2016. – Is the magic of language still present? In what way\form? Can it be transmitted? How is it transmitted? Besides text and visual work, contributors can respond to these questions with a soundpoem. All soundpoems will be uploaded on Bandcamp during february – april 2016, with a 4 day pause in between them – a physical release will follow. and some atmos by Max Kuiper. The soundpoem „Lait Noir Du Matin“ is based on fragments of the poem “Todesfuge” by Paul Celan. It ends with “der Tod ist ein Meister aus Deutschland”. This is my statement for the guiltyness of my country for all those who lost their lives because of german weapons or the death-industry during Nazi-Germany. Special thanks to Helmut & Max for their fantastic and inspiring work! of the one we took together when we first met. dreams for the infantile world. in a time maze I would have sauntered in infinity. “With thanks to Mari and Max”. 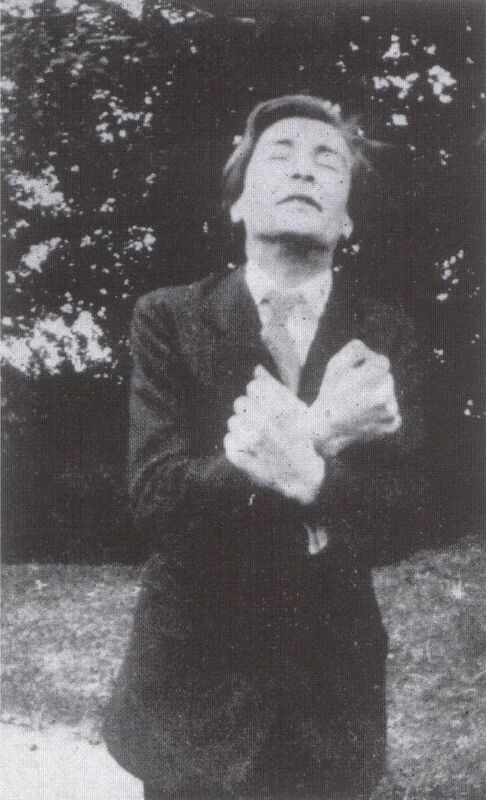 Poem ‘Vitres de son’ by Antonin Artaud. English translation by Paul Zweig (“with minor changes”). Dévore la nudité des astres. eats the nakedness of the stars. the calmness of the clouds. edited room recordings of feedback modulations, played in correlation with Max Kuiper’s samples which triggered the feedback channels inside the mixing desk. recorded with stereo microphone and asymmetrical speaker array. based only on sounds by Max Kuiper. sound recycling, composing, photography and design by EMERGE. 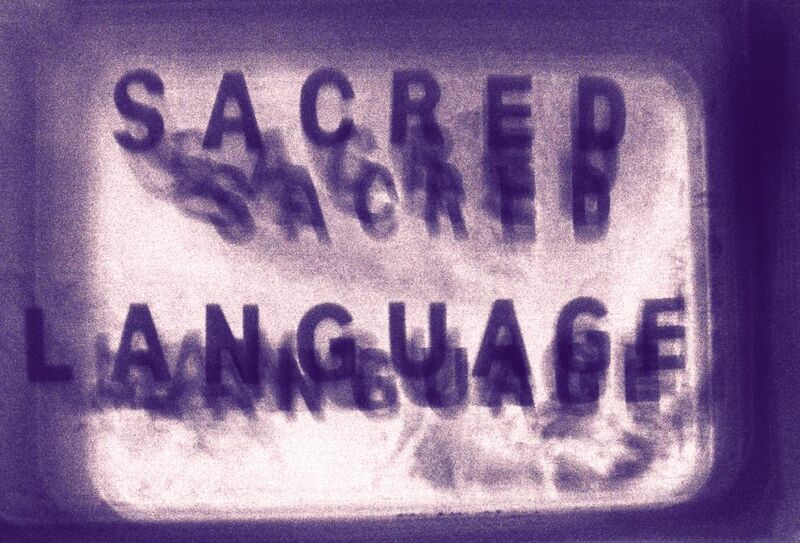 Commissioned for the „Sacred Language“-project by Max Kuiper. Source material by Max Kuiper. Additional material, voice and treatment by Thorsten Soltau. Recorded from February—March 2016 at Lichter Raum, Wilhelmshaven. Slow waves of sounds are layered. Detuned timbres of the same loop. Different fluttering volume levels are creating a sheerness of human voices intoning the vowels „o“ and „i“. A mixture of different selections of the provided source material. Binaural filtering and frequency panning applied to various instances. Concrete sounds like a sewing machine (manipulated to resemble a shutter frame running film projector) webbed in. Two spoken texts were set aside to each other. Both spoken from memory as a part of an stream of consciousness experiment. Content of texts inspired by Antonin Artaud; both texts were treated to become distorted and inapprehensible creating a new language. Credits: Trepaneringsritualen manifest as ᛏ ᚷ ᚱ ᚷ ᛈ.
Soundpoem, image and words © John Hudak. “The unheard echoes the unuttered. These were not nightmares but arches. The great beyond and the undercurrents. A muted chant between two tones. Raw fieldrecording made in the Palermo Catacombs, february 2016. 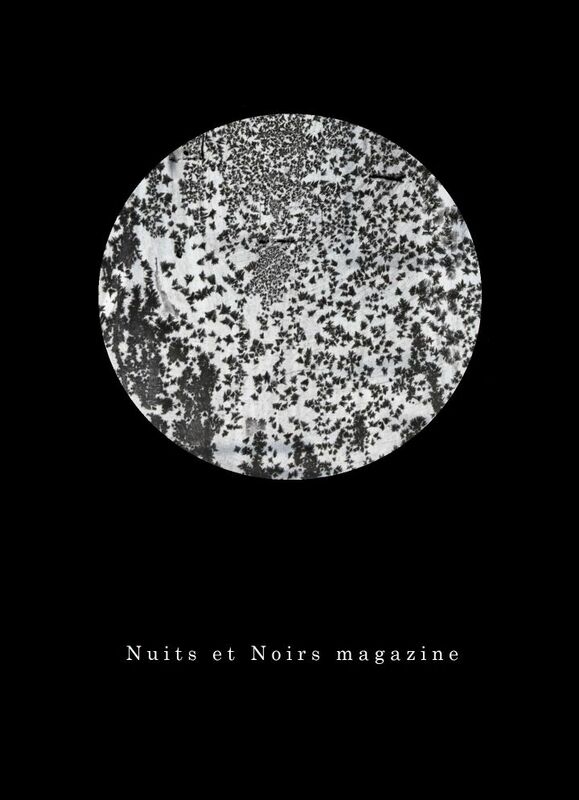 Nuits et Noirs is a free PDF only magazine with international contributors. Visual\writing\sound. To view the PDF’s – download it first ; and enlarge it on pc\mac (the PDF’s are not meant for printing). The soundpoems will be uploaded on Bandcamp with a pause of 4 days in between them. Contributors where asked to respond with sound on the above quote. “Dream Symbols” combine mid-20th-Century art, world art and street art traditions. Concrete meanings are often suggested, rarely achieved. The mysterious possibilities of an image, when the process escapes our control and disappears from the photographic surface, creating a magical and uncontrolled result. The vanished image is shaped by alchemy, when an unexpected chemical reaction breaks the gelatine surface and erases the content of the photography. The persona hidden inside the photography has vanished and become an abstraction, a fragment of memory. The magical composition was created by randomness and error process, as if the image decided to become autonomous. The loss of the figure, the sacred image, becomes a beautiful tale of the absence creating a new language, lost inside interstellar abstraction. The dust of a memory, the physical absence of the being, the degradation of physical surface becoming pure texture, pure uncontrolled poetry. The chemical failure turned figuration into abstraction, and created a complex beauty that would have never been possible in an intentional process. The failure becomes the main figure of the process, creating an enigmatic and fragile surface made out of broken fragments. The images were realised with handmade development process from analog black and white material with slide processing. consists of 6 visual parts + a soundproject. A list of all the contributors with additional information below. Soundpart of Nuits et Noirs magazine nr 2. 29 contributors sent 1 minute of sound about the Night \ about Black. Below the list of artists and titles of the compilation of the soundminutes. 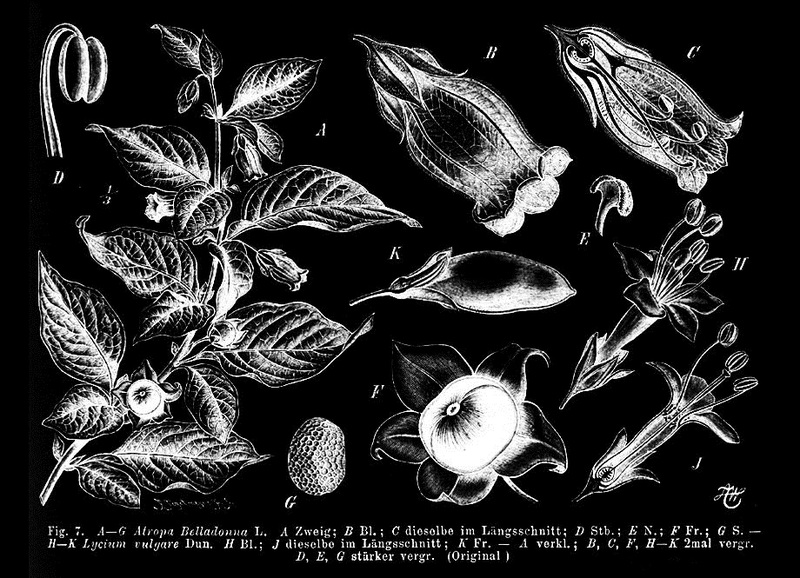 Title: “Bouche pleine des feuilles de la belladone. From the series “city wounds”. 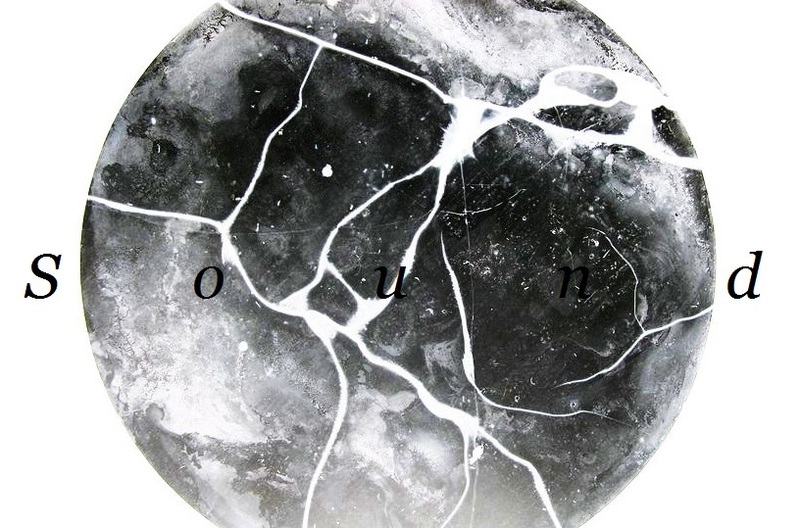 Karley Sullivan: ” S*aturn, Enceladus – The Raining Moon*. space in-between myth and reality. Title: Answer me,talk to me. There is a space only for myself in the deepest part of my mind where my hidden memories and sensitive emotions are located. It is a secret place that will not be open to everyone. The goal of my photography is to reveal it to the audience. The name Halcyon is inspired by the song of a Japan screamo band Heaven in Her Arms. It is also the way that I knew this name. Halcyon means peaceful and happy. But there is a totally different scene in my mind. It evokes me the memory of my trip to Fuzhou when I experienced the strongest storm of the year. All I felt were whirring of the wind, shrill sound of the ocean wave and a wrathful force from the darkness of the farthest part of the ocean. Silent, desolated, dark and chaotic are all characteristics of Halcyon. I represent the darkness that has been following me as my shadow for years. In this series, I applied different symbolic imageries in the creation to express what is substantial in my unconscious mind. Robin van der Heijden: “Material” video stills. “Longtemps, j’ai vécu la nuit, j’errais, de bar en bar, c’était dans une autre vie, c’était il n’y pas si longtemps que cela. Je vis dans un endroit très particulier, un endroit très beau, très sauvage, un endroit de paradis ou de perdition. “I work with experimental photography since 1975 and explore the nature of photography. The visible, the pictorial and the substantial as pure form. Kazimir Malevich: ” black square on a white background ” inspired me. João Ricardo – From a series of three photo’s titled “morrinhento…” . The series describes a state of being when drizzle falls. i’m 27, norwegian, and a boy. Lumière is a poem, photo and track by Marc Hurtado. 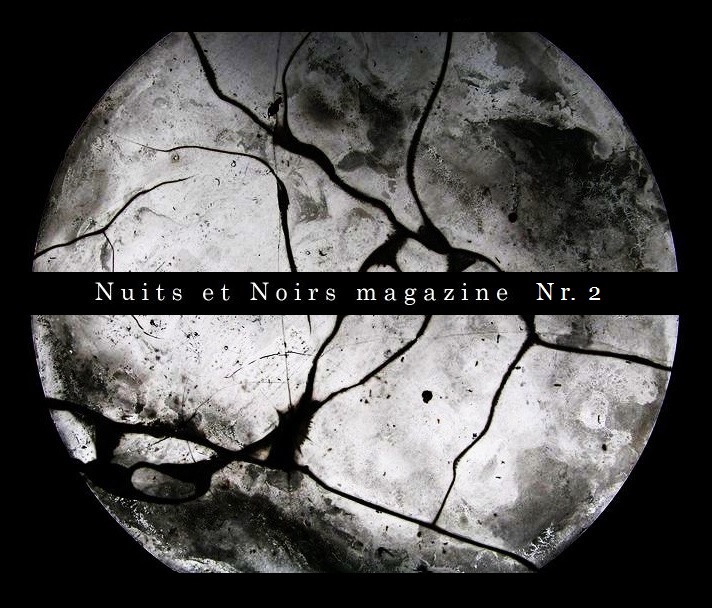 Sound part of Nuits et Noirs magazine no 2. Stichting Maldoror (The Netherlands) and R\A\W F\O\R\M\S have plans to release the recording of this 1993 soundperformance – in combination with soundworks by Les Horribles Travailleurs. Cindytalk: “The Chimes At Midnight” . Mixed and finalized 9th june 2014 at Lichten Raum, Grafschaft. Thorsten Soltau works within the field of rhythm and concrete sampling. His first works were inspired by cut-up techniques and concrete music centered around personal concepts. In 2013 Soltau mixed his first album related to the early days of commercial and underground rave music. 2014 he finished working on a series of albums compiling minimal music collaborations with Max Kuiper, Gildas Brugaro and Mihkel Kleis. The contributors of the soundproject of Nuits et Noirs magazine nr 2 – “Sound of the Night \ Sound of Black” – are invited to rework the 29 soundminutes to a new composition of 20 minutes maximum. It will be posted here on Mixcloud as monthly episodes.